The holiday season can be overwhelming. There are presents to buy, parties to plan, extravagant meals to cook, and relatives to entertain. However, you can eliminate all of the stresses of the holidays by escaping to a warm-weather destination, a city you've always longed to see, or a winter wonderland this time of year. Spectacular view on the D?sseldorf town hall from the Christmas market on Marktplatz with a snowcapped Christmas tree in the front. The picture was taken during light snowfall and the snowflakes can be seen in the night sky. 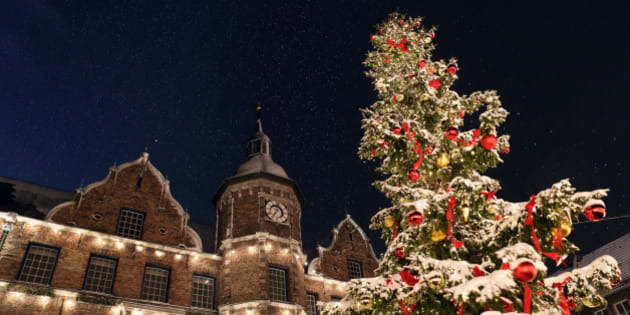 Visit one of these five out-of-this-world destinations instead of spending your money on gifts this holiday season -- no one will miss those ugly Santa socks anyway. Puerto Vallarta, located in the state of Jalisco on Mexico's Pacific coast, boasts some of the country's best weather, pristine beaches, bustling nightlife, and opportunities to engage in Mexico's unique holiday culture. Soak your toes into the warm sand by day, shop the cobblestone streets of the city's "Old Town" region at night, and don't miss some of Puerto Vallarta's annual Guadalupe processions, which take place from Dec. 1 through 12. 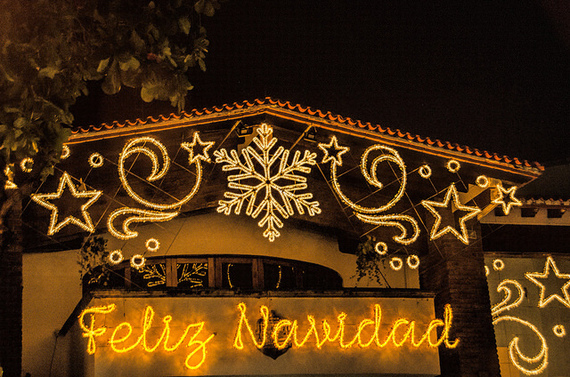 Christmas is also a week-long celebration for most Mexican families, and you can take part in a number of the city's posadas (parties) from Dec. 16 through 24. Puerto Vallarta is a place where you can avoid shoveling snow without missing out on any of the holiday cheer. Spending the holidays in New York City is a bucket-list item for many travelers. Ice skating at Rockefeller Center, admiring the massive decorated tree, catching a Rockettes Christmas Spectacular at Radio City, and stocking up on souvenirs at Columbus Circle are all iconic holiday traditions you can experience in the Big Apple. And instead of spending all of your year's earnings on gifts, you can walk Fifth Avenue after dark to admire the extravagant holiday window displays at Saks Fifth Avenue, Lord & Taylor, Bergdorf Goodman, Tiffany & Co., and Henri Bendel. Stay through New Year's Eve, and you're in for one of the world's most grandiose celebrations at Times Square. 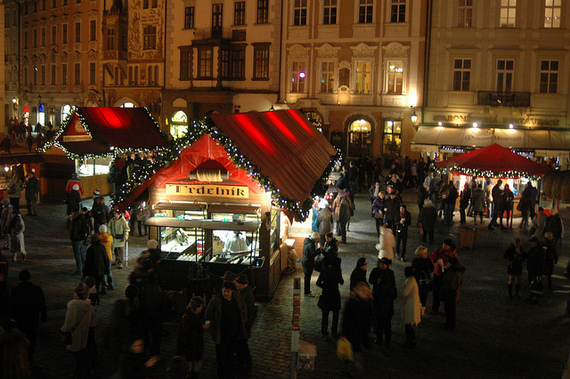 No city will coerce you into the holiday spirit better than Prague. This real life winter wonderland is known for its annual Christmas markets, notably the ones within walking distance of one-another at Old Town Square and Wenceslas Square. City-wide holiday lights, often capped with a dusting of snow, make perusing the handicraft vendors even more charming. Of course, the holiday markets aren't just for shopping. You can fill yourself to the brim every evening with traditional holiday foods, like ham roasted on spits, klobása, and Czech pastries. Searching for a place to escape the Black Friday specials and over-played holiday music? Punta Cana offers average December high temperatures in the low 80s and sugar-sand beaches that are much more comfortable on bare feet than snow. Even better, the resort region of Punta Cana, at the Dominican Republic's eastern tip, is packed with hundreds of hotels hoping to lure travelers away from their homes for low holiday rates. All-inclusive flight and hotel packages make it easy for you to forget about the stresses of the holidays while lounging under a palm tree with a fruity drink. 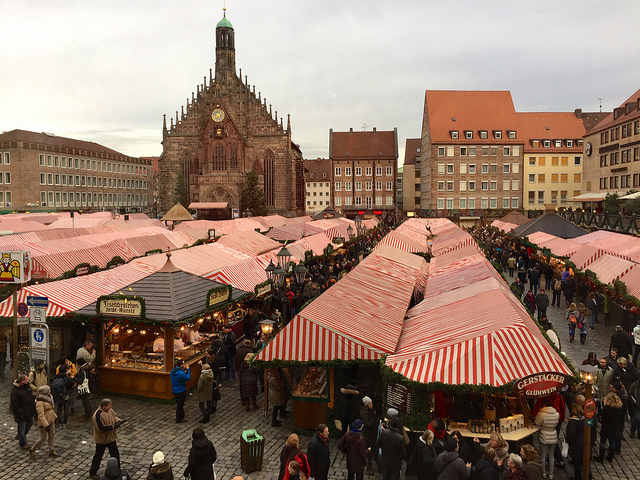 Nuremberg's Christkindlesmarkt is worth a holiday ticket to Germany alone. More than 2 million people visit the traditional holiday market every year to pack their bags with stocking stuffers, ride the old-fashioned carousel, take a stagecoach tour, sip warm beverages, and fill up on bratwursts and gingerbread. Outside of the market, Nuremberg's iconic medieval architecture and charming red-roofed buildings are donned with glistening white holiday lights, appearing more like a quaint Christmas village than the metropolis the Bavarian city really is.